Medical cannabis becomes more and more popular due to its health benefits. So, nowadays a lot of new ways of its consuming appear. Because all people are different, and each of us needs something unique, the option that we’ll choose must be a decision based on our personal experience. So, when it goes to the marijuana smoking you should try many ways of consuming it before choosing the right equipment for yourself. In this article, we are going to cover the most popular cannabis equipment. We will review their pros and cons, for the better understanding what suits you best. In order to be sure that you won’t have any issues, we advise you to turn to the specialist and consult about the consumption of cannabis. Water pipes or bongs differ in size, shape, and style, so it is not hard to find something that will suit you the best. Water addition is the main feature of the given type of marijuana equipment. The water pipe is actually one of the most popular equipment among ganja admires. Some resources even call it “king” of the cannabis paraphernalia. The thing is the bong with the water inside, filtrates and produces smoother smoke. The taste of the smoke will be much pleasant. Your perfume will not hide strong cannabis smell. To sum it up, the bong as the device for smoking cannabis is useful but has some disadvantages as any other method has. Before buying it, make sure that it will fit you. Anyway, you can ask your friends if they have a water pipe or visit the shop and experiment with bong there. Notably, you should clean the water every time you have used it. 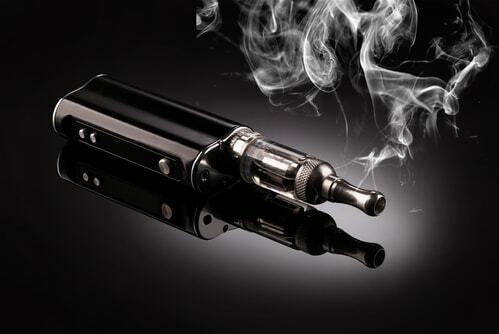 This type is, probably, second the most popular equipment in the midst of cannabis fans. It’s especially logical choice for beginners since it is hard to navigate through tone of devices appointed for consuming cannabis. Probably, if you are looking for marijuana equipment because of medical purposes, you don’t want to buy something too much expensive. Take into consideration the material of the equipment, because it influences the effectiveness of the plant. 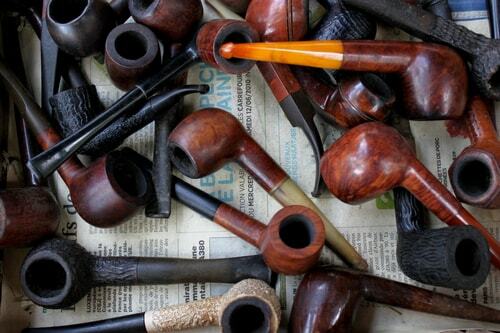 Pipes can be made of glass, metal or even plastic. 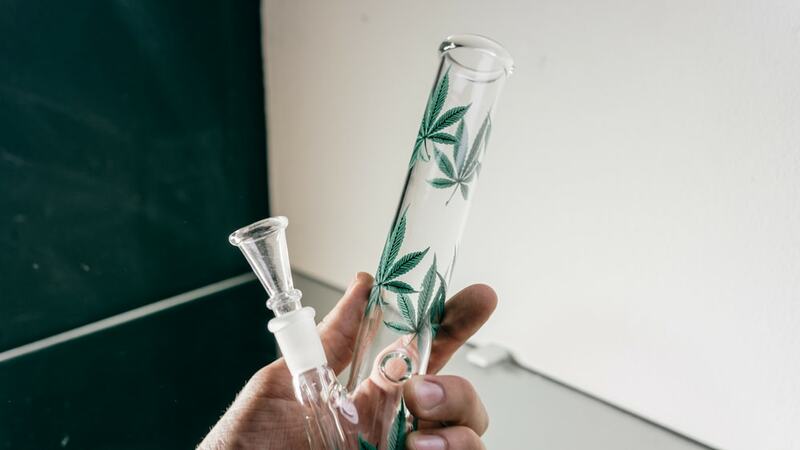 Pay attention to the fact that glass pipes require regular cleaning, which may be quiet hard because of the pipe’s material (glass is difficult to clean). Moreover, the glass pipe can easily break down if you drop it on the tile or the asphalt. Glass pipes can easily break. The given option is very useful as for regular ganja admires as for people, consuming cannabis because of their health issues. The vaporizers heat a weed to the right temperature in order to start THC and other cannabinoids producing. But the given temperature is not enough for standing out harmful toxins, therefore it has lower health risks in comparison with other methods. The equipment goes in various types, so everyone can find the one, perfectly suiting his/her taste. Another benefit of this marijuana smoking equipment is that you can use both herb and oil (that has a stronger effect) of cannabis. Moreover, vapes are less dangerous to the lungs. Apart from that, its effect will last for about couple of hours. The disadvantage of such option is that the result will be much weaker compared to the further ones. Only helpful components reach your body. It may be quite expensive. In conclusion, we remind you that for the right cannabis consuming you need to turn to the physician. For sure, the specialist will help you to cope with your issues as well as prescribe you the right dosage of cannabis for treating. There are a lot of factors that impact on the cannabis’ result. Among them is the amount of usage, the method of consumption, previous experience, diet and more. Nowadays there are lots of methods for cannabis use. In fact, medical cannabis has numerous benefits for health. As recent medical researchers showed, marijuana, having lots of therapeutic properties, becomes really a great assistant to help people to cope with their health problems. The equipment mentioned above is not the whole list of those you are able to try. You can also use rolling papers, hookahs, tinctures, oils, and more.